Denver Metro has established a reputation as an extremely strong seller's market, and the city’s future actually looks very bright and shiny, says Tracy Shaffer, a Huffington Post expert. Shaffer states she sees “no sign of a major imbalance that could lead to any sort of ugly peak and crash. Sellers should get a good price for their homes” primarily because the market has been reacting appropriately and has become more balanced over the past few years. In other words, the housing market in Denver is on fire! A recent search shows that the median home value in Denver currently sits at $330,000 and Zillow predicts home prices will continue to rise 4.8% within the next year. Furthermore, the official website of Denver tells us that the biggest surprise for visitors to the mile high city is the climate, because “winters are mild with an average daily high temperature of 45 degrees Fahrenheit,” but nights can get cold and chilly when the sun goes down. The fall in temperatures overnight makes electric radiant floor heating an ideal solution for homes in this area. You might have found your dream house, but if it isn't equipped with heated floors, an affordable remodeling project could be the solution. In the case of this Denver homeowner, adding radiant electric heat to a home office was a very affordable way to bring the welcoming warmth and comfort of floor heating to their work routine. To incorporate floor warming, he installed a 1.5- by 33-foot TempZone™ Flex Roll in his 54-square-foot office for $544.00 at a cost of just $11.00 per square foot (see floor plan). Let’s take into account the cost to operate the system. WarmlyYours’ Energy Use Calculator shows it only costs 31 cents per day to heat this office for eight hours a day and our Heat Loss Calculations suggest it costs just $10.79 to heat the office during January, the coldest month of the year. 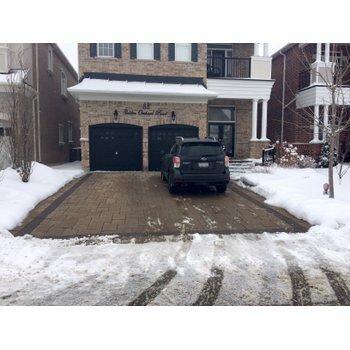 Best of all, the annual operating cost for the heated floor is $65.66 — a small price to pay for the comfort and luxury of a radiantly warm office with soothing warm floors. 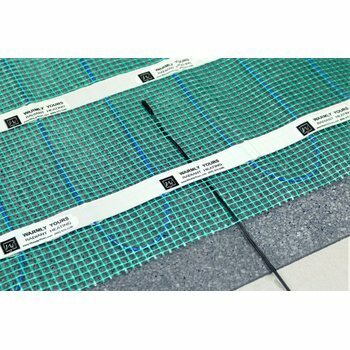 Commercial offices can benefit too by adding radiant floor heating to their office floors so workers are fully pampered during their work hours. Research proves that cold and chilly rooms reduce work efficiency and productivity, so what better way to increase workers’ productivity in an office while also providing them with luxury and comfort? 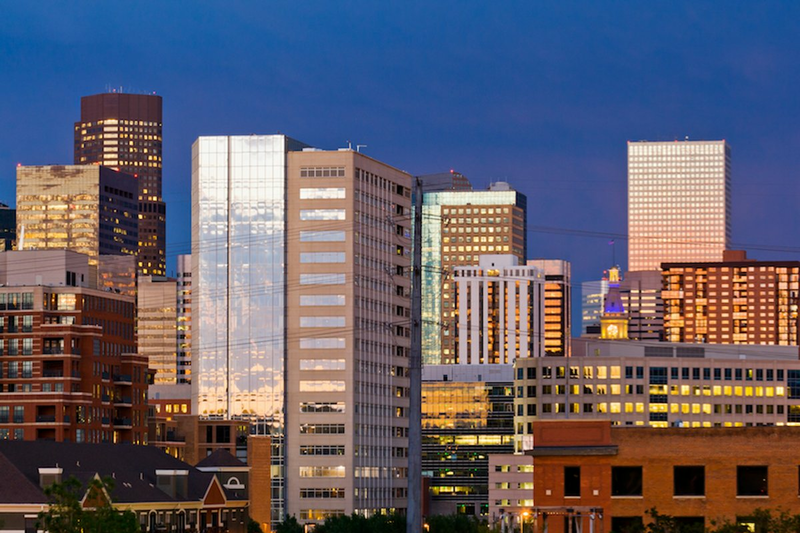 Don’t Miss Out On Your Free Instant Quote For Your Denver Office! 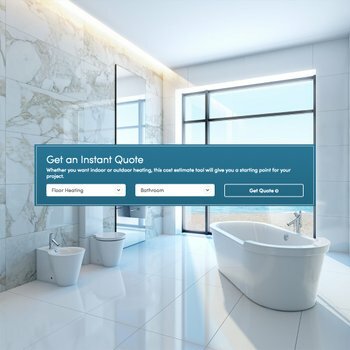 If you’re wondering how much your office or any room where you desire floor heating will cost, you can use our Instant Quote tool to find that out. By simply entering your project information, you will receive the recommended products along with their cost. In addition, our SmartPlan™ installation plan will specify all the relevant information you will need to get your project underway. To obtain a custom installation plan for your room, you can submit a floor plan online, send it to your account manager via email (sales@warmlyyours.com) or fax at (800) 408-1100. Believe in the radiant possibilities and you’re almost there! If you are a DIYer and prefer installing the system yourself, we’ve got you covered too by offering 24/7 installation support to guide you through every step of the process! Our technical experts are available 24 hours for your convenience at (800) 875-5285. WarmlyYours is there for you every step of the way, night or day. How Much Does a Warm Floor Cost in this Des Moines Basement Bedroom?